Not bad behavior, just one that I don’t pretend to understand. 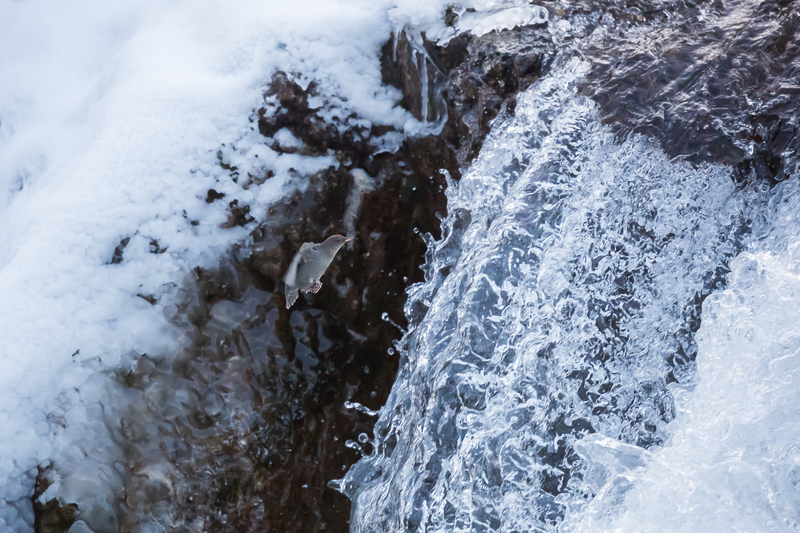 When I was last at Elbow Falls, I photographed two American dippers as they flew, dove and splashed around the fast-moving water. 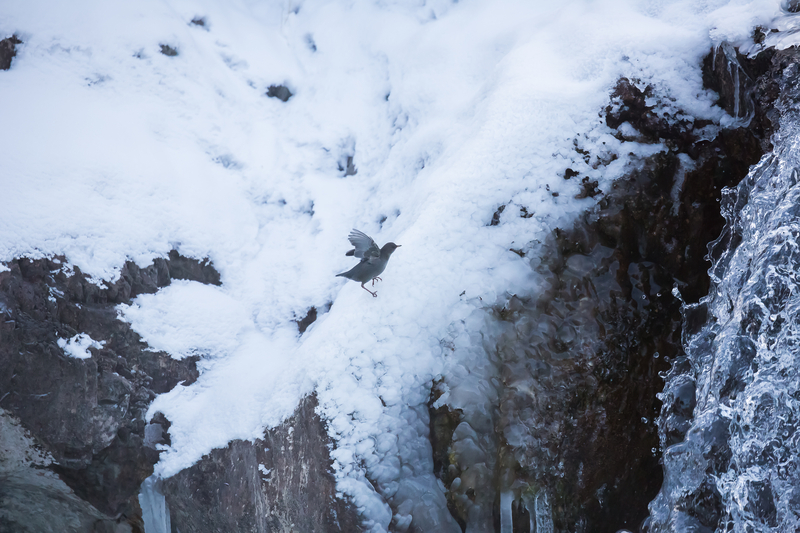 Along the way, one of the birds flew to an overhang beside the edge of the waterfall, and then slid on the ice before finding purchase in the snow. 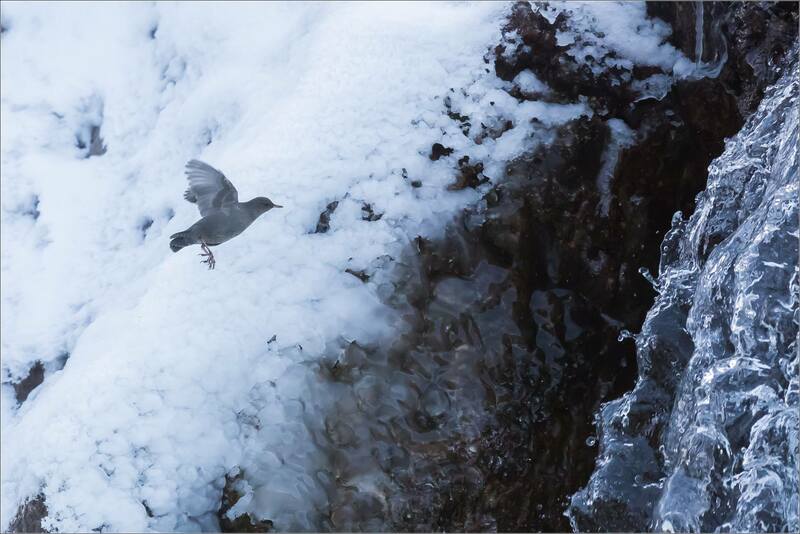 It paused for a moment and then flew at the waterfall! 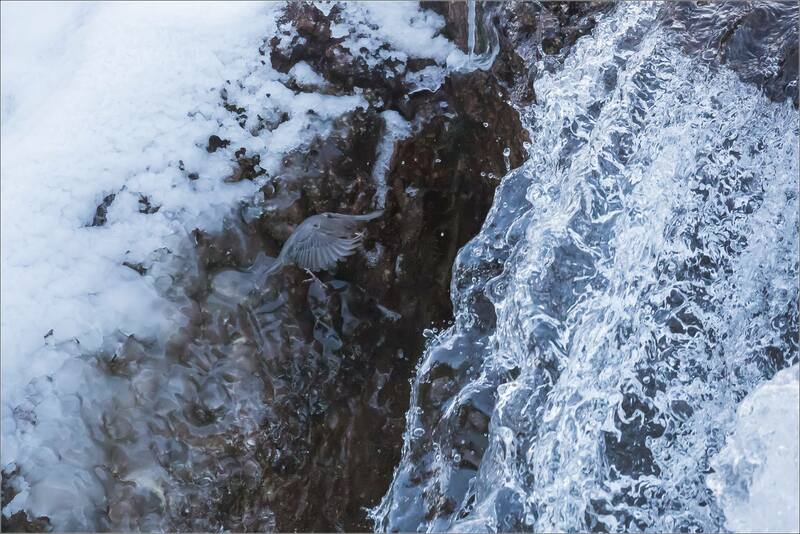 The bird flapped its wings to hover for several seconds only a few inches from the water where it fell over the edge. I don’t know if it was looking for insects behind the water – surely not in the water itself! Likely it was something else, maybe even simple curiosity or just because it could do it. It was unusual and really fantastic to watch. This entry was posted on November 26, 2018 by Christopher Martin. 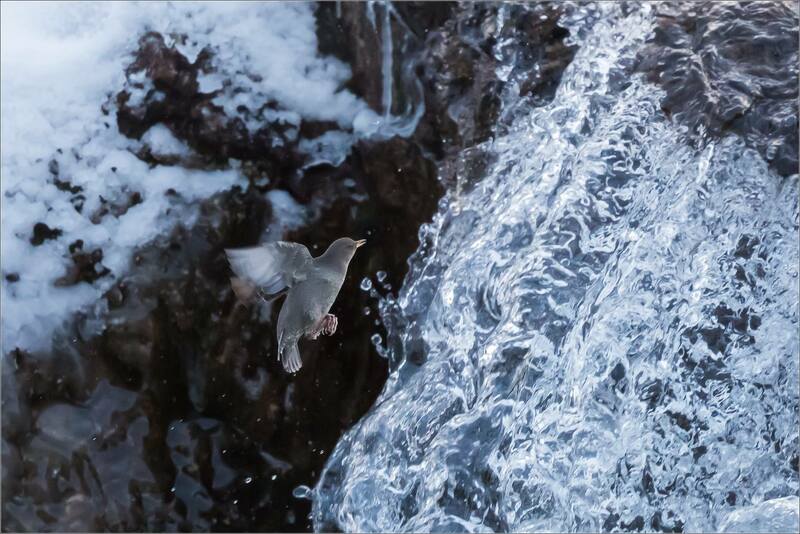 It was filed under Birds, Kananaskis, Nature, Wildlife and was tagged with alberta, American Dipper, bird in flight, bird photography, Canada, Elbow Falls, Kananaskis Country, waterfall, wildlife photography. Amazing shots of the brave little birds! Fabulous shots. That must have been both amazing and puzzling to watch. Very cool to observe and capture such interesting behavior. Great captures of this bold little bird. Wow! I have never seen that before. Thank you for your amazing photos! Fascinating behavior and amazing shots, Christopher. One June near Jasper, I came across a nest of dippers behind a waterfall. I couldn’t see it, but whenever the parents arrived with food, I could hear the commotion of hungry babies. Maybe your dipper was checking an old nest or prospecting for next spring.